Who doesn’t love a good movie- sitting in the darkened theater, watching the big screen, eating popcorn? But I do love a good book more. 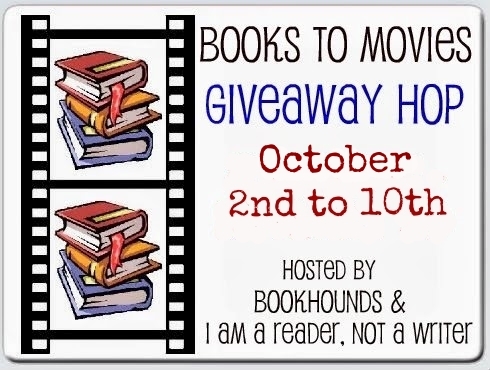 Today, happily, I’m participating in the Books to Movies Giveaway Hop – a perfect hop for those of us who enjoy both. Earlier this year I watched The Monuments Men and really enjoyed it, perhaps a bit more than most people, at least based on some of the reviews I saw at the time. I do think that the book is probably even better; they usually are. 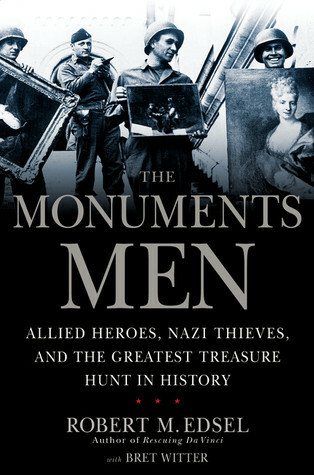 So, I’m giving away a copy of The Monuments Men: Allied Heroes, Nazi Thieves and the Greatest Treasure Hunt in History by Robert M. Edseil with Bret Witter. Yet to watch the film (we have it on our Lovefilm) list. As you say the book is usually better than the film and I’m sure that this is no exception. Thanks for the giveaway and the links to all those other participating sites. I bet my husband would like the book. He liked the movie better than I did and loved the history.